Some years ago a fellow photographer friend of mine, Matt Johnson, opened my eyes to a technique in photography that I had been ignoring. That technique is the sillouette. 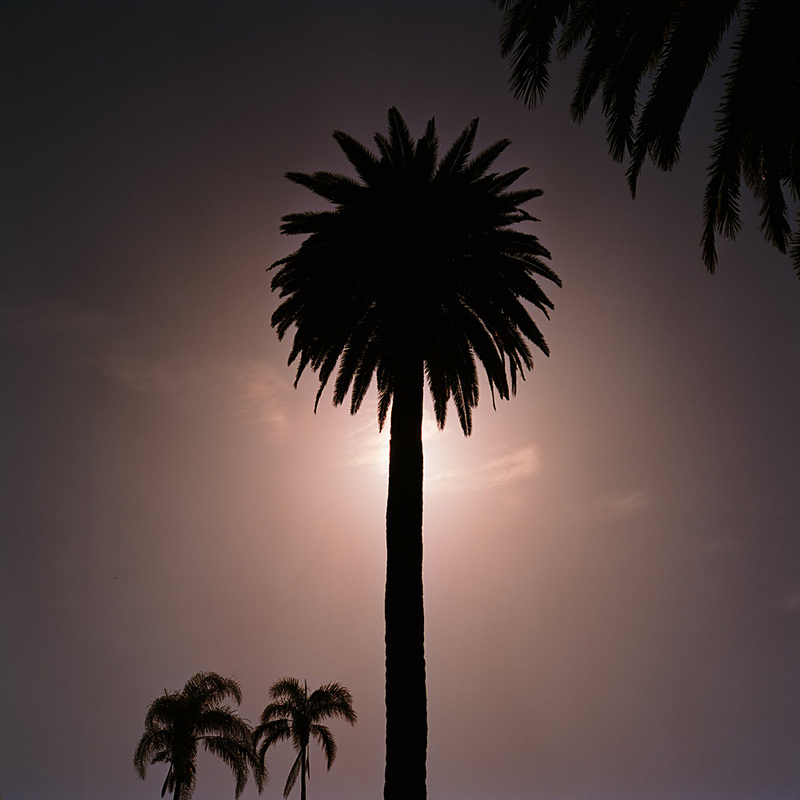 So one day while walking around Alice Keck Park in Santa Barbara with my Rolleiflex and tripod I made this photograph. The composition is a diagonal line starting at the two trees on the bottom left, running through the centeral element and finishing at the tree in the upper right hand corner. Rolleiflex FX 1/500 sec f.16. Portra 160 vc film. Underexpose the bright background a couple of stops and you are there. The sky in this image is red because in photoshop I pulled the red over in the color balance tool.